Looks like rising star Vijay Sethupathi is truly on a signing spree. The actor, who is currently busy with KV Anand's Kavan, has a slew of film lined up for 2017. Some of them are Puriyaadha Pudhir, Vada Chennai, Aneethi Kathaigal, and Vikram Vedha. Adding one more in the list in Naduvulla Konjam Pakkatha Kaanom cinematographer Prem Kumar's debut directorial project. 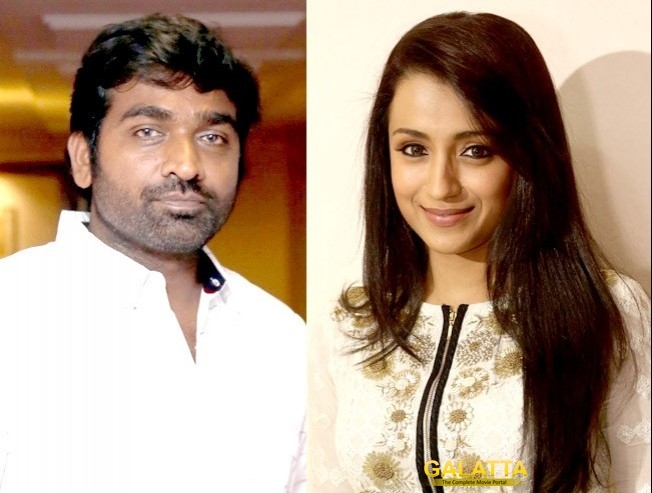 The team has already roped in Trisha as the leading lady and now, we hear that the film has been titled 96.